Happy Friday, Greenpoint! This week, Greenpoint’s own Polish-language weekly newspaper, Kurier Plus got a profile in the Columbia Journalism Review. Read about how the Polish paper is thriving! 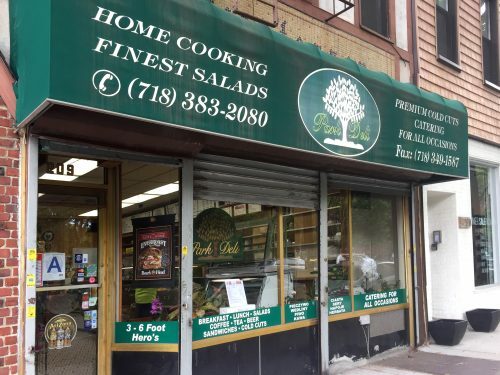 Speaking of Polish Greenpoint, the beloved Polish deli, Park Deli (209 Nassau Ave.), is looking for a new neighborhood home after owner Krystyna Godawa was hit with a rent hike for the space, but loyal customers have stepped in to help. Speaking of closures, a New York City Councilman has come up with a new idea to ease L-pocalpse: information booths. On the topic of local government, Brooklyn Community Board 1 unanimously voted against Greenpoint Landing’s request to reduce plantings and lawns from its promised public waterfront park. Finally, there was a robbery on South 4th Street on Monday, and the suspect made off with over $1,500 worth of cash, credit cards and electronics.